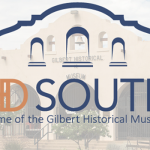 HD SOUTH, home of the Gilbert Historical Museum, could not continue to operate without the generosity of our local community; as a private 501(c)3 non-profit organization, every penny we receive through private donations and grants is a valuable contribution to the preservation of Gilbert’s history for future generations. 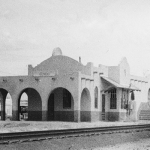 All donations, large or small, are gratefully received; thanks to our community and the town of Gilbert, we continue to operate our programs, events and activities allowing museum visitors to explore the past, experience the present and imagine the future! If you would like to donate today, then please complete one of the secure forms below; your generosity is greatly appreciated. 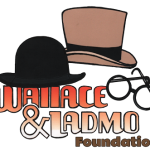 If you have questions about the different donation options available, please give us a call at 480.926.1577 or contact us via our contact form. If you would like to support HD SOUTH every month with a recurring donation, click the button. A planned gift is a contribution that benefits a charity upon a benefactor’s death. The Planned Giving Program enables benefactors to make larger gifts than might otherwise be possible. Every dollar that you donate helps us embrace the arts, culture, & history of our region. There are times in life when a card or flowers simply aren't enough. That's when a Tribute or Memorial Gift may better express your emotions. If you are interested in setting one up, contact us or indicate on the Donate form. If you are interested in contributing to the “Building Communities for All Ages” campaign – contact HD SOUTH President & CEO, Kayla Kolar. If you have questions about donating to HD SOUTH, a 501(c)3 non-profit organization, please contact us.